Interactive training for the 600DV series of Baggage and Parcel Inspection products. 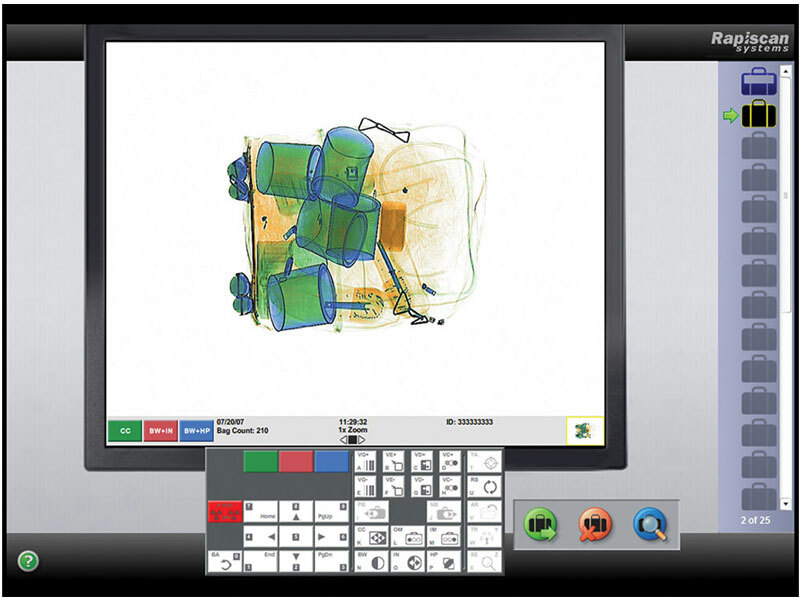 The 600 Series Dual View Computer Based Training (CBT) program is PC based software used for effectively training personnel on the operation of the 600 series dual view baggage and parcel X-ray screening systems. 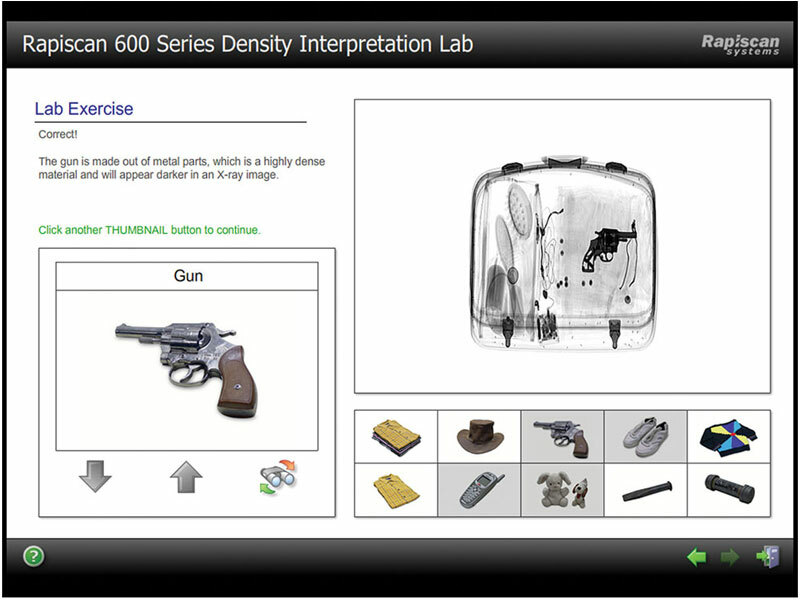 This interactive, self-paced program contains a tutorial course and an X-ray system simulator. The 600 series dual view system displays a vertical view of the contents as well as a horizontal view, eliminating the need to rescan items. The representation of real-world threats is used to assist the operator in understanding the importance of careful examination of every bag and parcel. Both programs use our Adaptive Difficulty Engine (ADE) to assess an operator’s proficiency in core skill areas and then tailor exams to match aptitude levels. The tutorial course readies operators to correctly operate the basic features of the Rapiscan® Systems 600 series dual view X-ray systems.